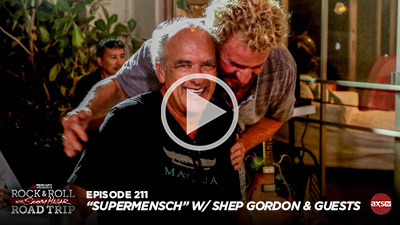 Click images below to view a promo video for each episode. 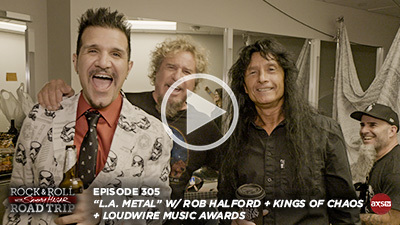 Find AXS TV Here: http://bit.ly/WtTUDr and CLICK HERE TO PROGRAM YOUR DVR. 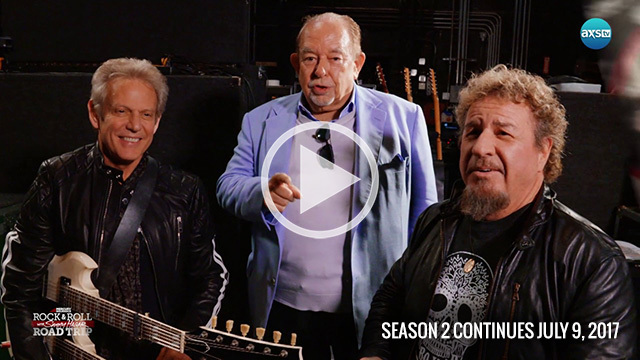 Join Sammy as he flies to Lake Tahoe to meet up with Roger Daltrey. 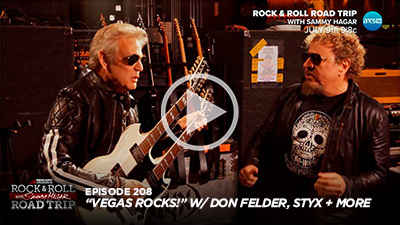 Sammy performs one of The Who’s most well-known classics, and he sits down with Roger to reminisce about playing the 1973 Charlton Festival. Sammy travels to Denver, Colorado, where he meets up with the band Nickelback. Sammy and Chad Kroeger check out vinyl at Denver’s Twist and Shout record store, and later, put on a memorable performance of one of many Nickelback’s chart-topping hits. 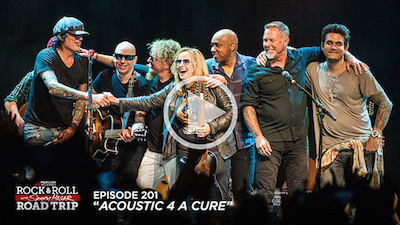 Sammy heads back to the Fillmore Theatre in San Francisco, California, to feature the female artists in this Mother’s Day special of his annual Acoustic 4-A-Cure concert. 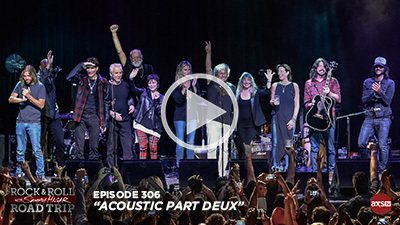 Sammy features acoustic performances by Sarah McLachlan and Pat Benatar & Neil Giraldo. Join Sammy this week as he takes to the high seas on the Rock Legends Cruise, departing from Ft. Lauderdale, FL. 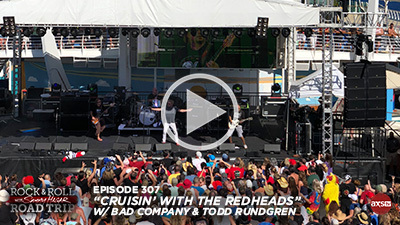 Sammy takes the stage with Paul Rodgers and Bad Company as they perform one of their hit songs together, while cruising the deep blue sea with Todd Rundgren and other rock legends. Sammy heads to one of the biggest parties of the year, Mardi Gras. 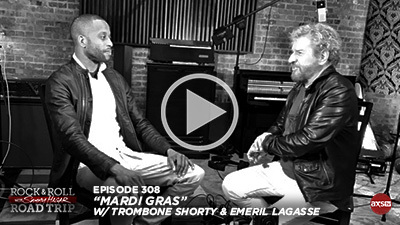 Join Sammy Hagar as he takes to the streets of New Orleans, checks out the world-famous floats, performs with Trombone Shorty, and hangs out with celebrity chef Emeril Lagasse. 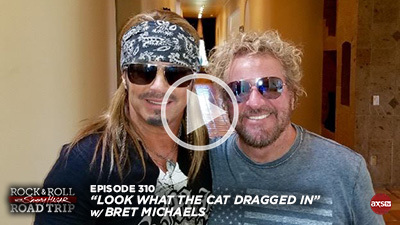 Sammy Hagar makes a stop in Scottsdale, Arizona where he meets up with Poison frontman Bret Michaels. 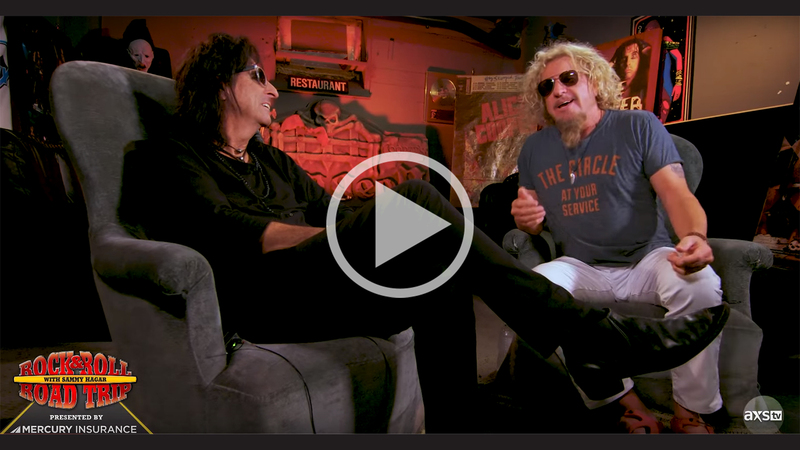 The two iconic rockers sit down for a "Mad Max" style performance of "Your Mama Don't Dance" and tour Bret's unique Arizona home. Sammy Hagar makes a stop in Scottsdale, Arizona where he meets up with Poison frontman Bret Michaels. 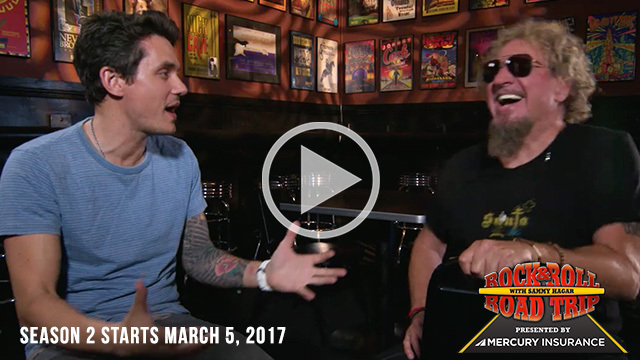 The two iconic rockers sit down for a "Mad Max" style performance of "Your Mama Don't Dance" and tour Bret's unique Arizona home. 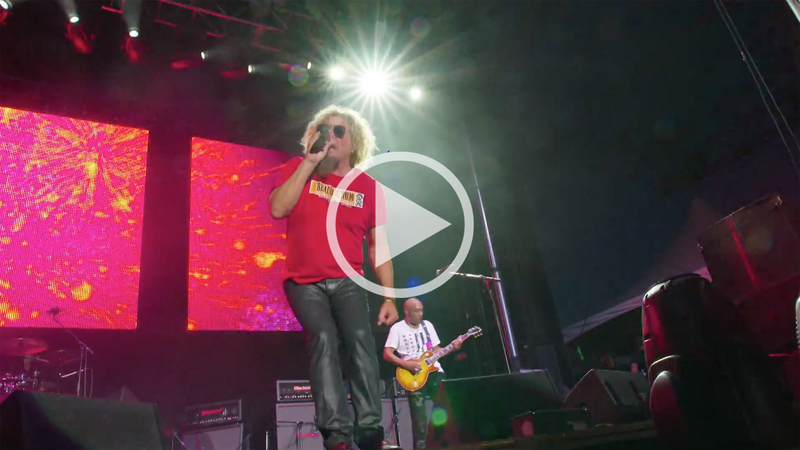 Live a day in the life with Sammy Hagar as he travels from Oklahoma to Rockfest in Kansas City. 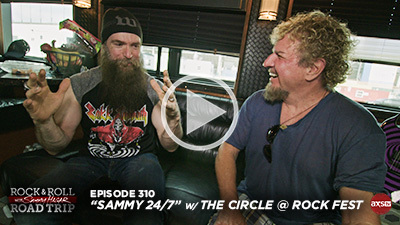 Once arriving at Rockfest, Sammy goes backstage with some of the biggest names in rock including Zakk Wylde, and Sully Erna of Godsmack, followed by a performance with The Circle. 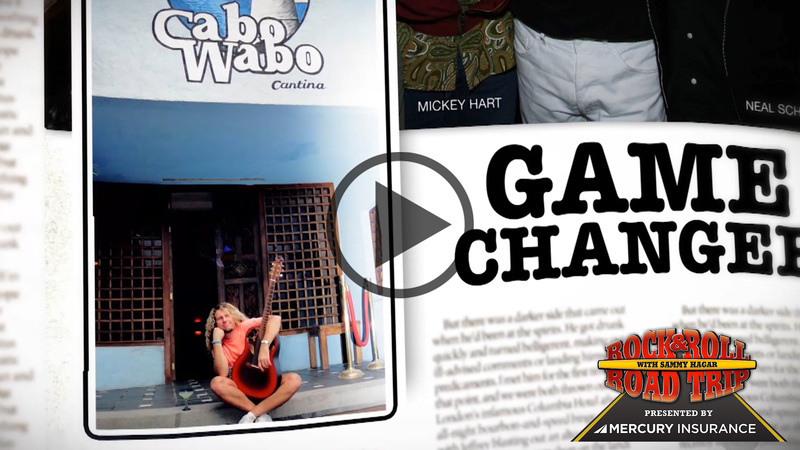 Join Sammy and an all-star lineup including Eddie Money, Chad Kroeger, Toby Keith, Darryl McDaniels, Bob Weir, Vinnie Paul and Kenny Aronoff as they celebrate Sammy’s 70th birthday at the Cabo Wabo Cantina in Cabo San Lucas, Mexico. 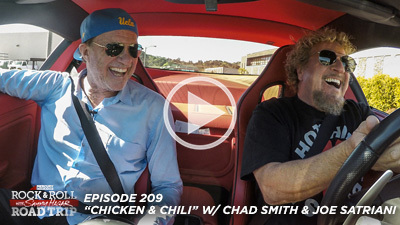 Red Hot Chili Peppers/Chickenfoot drummer Chad Smith drops by Sammy's studio to catch up and perform new Chickenfoot songs with Joe Satriani and Sammy. 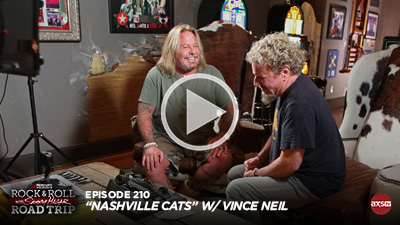 Sammy visits with Vince Neil of Motley Crue at his home in Nashville, Tennessee. Later, he drops by legendary Phoenix Studios to plug in and play some acoustic songs. This week, Sammy is honored as a keynote speaker at the World's Biggest Music Festival, South By Southwest (SXSW) in Austin, Texas. 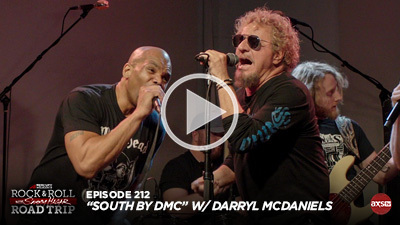 He then joins Rock & Roll Hall of Famer, Pioneer of Hip Hop, Run-DMC Frontman; Darryl McDaniels, in a Rock-Rap jam with Sammy & Band. A performance for all musical tastes! For the Season 2 finale, Sammy heads to Los Angeles to meet up with Maroon 5 front man, Adam Levine at his West Hollywood home. 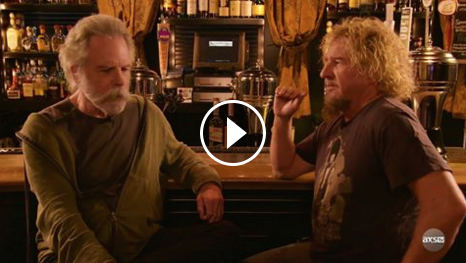 The ‘Red Rocker’ Sammy Hagar travels around America to visit fellow rock legends for jam sessions and tons of laughs. This week, Sammy heads to the landmark Fillmore Theatre in San Francisco to perform his annual Acoustic-4-A-Cure Concert. 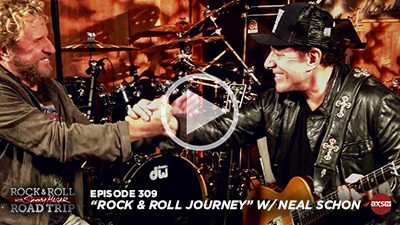 He sits down with John Mayer and Joe Satriani and later they all hit the stage with fellow musicians James Hetfield (Metallica), Melissa Etheridge, Pat Monahan (Train), Tommy Lee (Motley Crue), and Kris Kristofferson. 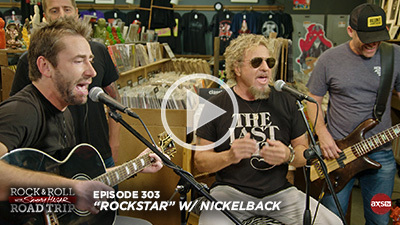 The ‘Red Rocker’ Sammy Hagar travels around America to visit fellow rock legends for jam sessions and tons of laughs. 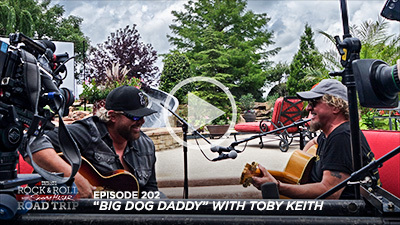 Join Sammy as he flies to Norman, Oklahoma to hang out with Toby Keith. 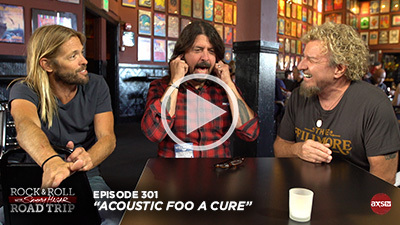 They visit Toby’s restaurant and then do an interview and an acoustic performance at Toby’s 160-acre ranch. 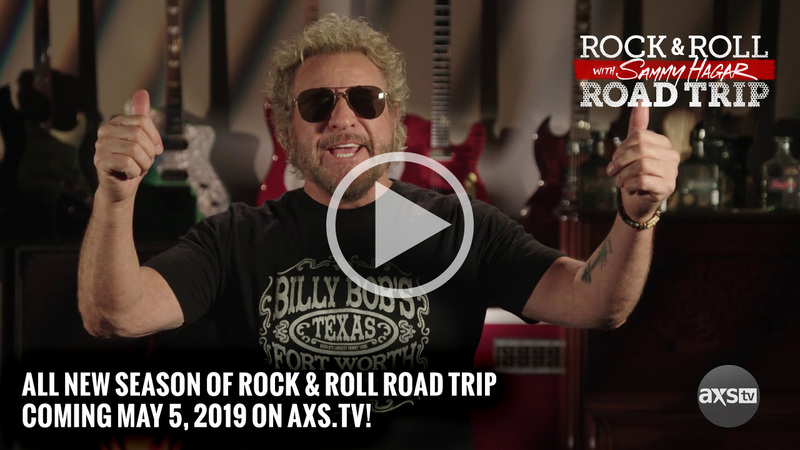 The ‘Red Rocker’ Sammy Hagar travels around America to visit fellow rock legends for jam sessions and tons of laughs. 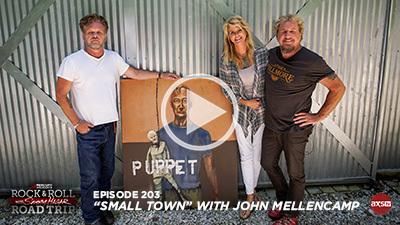 This week, Sammy travels to Bloomington, Indiana to hang with John Mellencamp at his art studio. 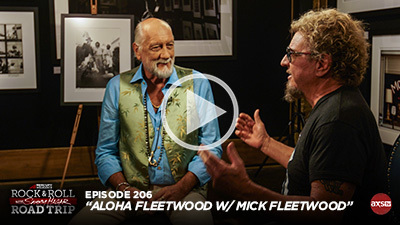 They discuss John’s career, Farm Aid, and his passion for painting. 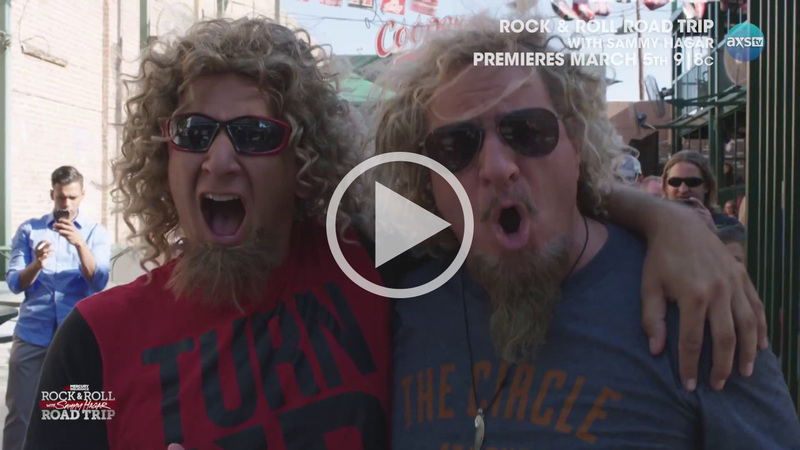 The ‘Red Rocker’ Sammy Hagar travels around America to visit fellow rock legends for jam sessions and tons of laughs. 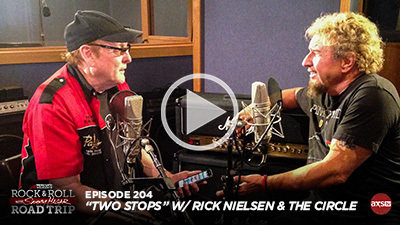 Sammy drops in with Cheap Trick’s guitar God Rick Nielsen in Chicago to talk rock history. He then heads to Denver, Colorado to play the iconic Red Rocks Amphitheatre with his band The Circle (Michael Anthony, Jason Bonham & Vic Johnson). 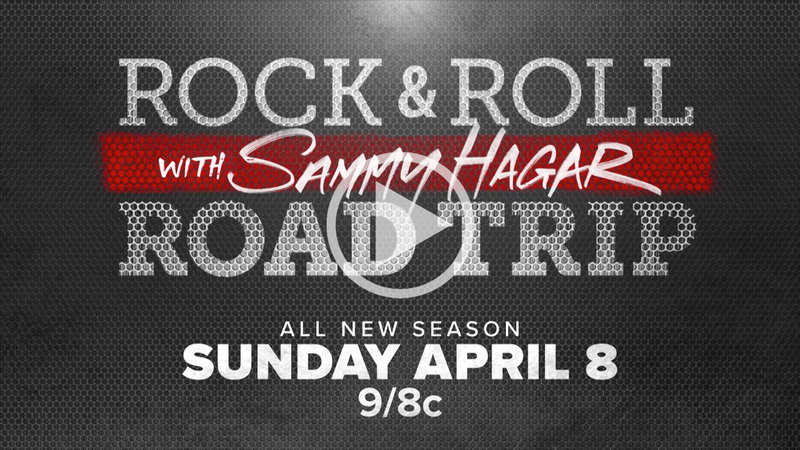 The ‘Red Rocker’ Sammy Hagar travels around America to visit fellow rock legends for jam sessions and tons of laughs. 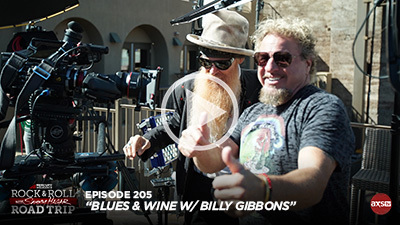 Sammy drops by the unique concert hall, Mountain Winery, in Saratoga, California to sit down with ZZ Top’s Billy Gibbons to talk rock and roll, followed by an intimate blues performance. A Best of Show special for the first half of season 2!